Grade A Citizen | Are You Zhazha? I would fail if I was ever quizzed on that Late Show skit “Jaywalking.” I would fail if we were playing a trivia game and the win depended on my answer. I would fail if given a Third Grade test at age 33. 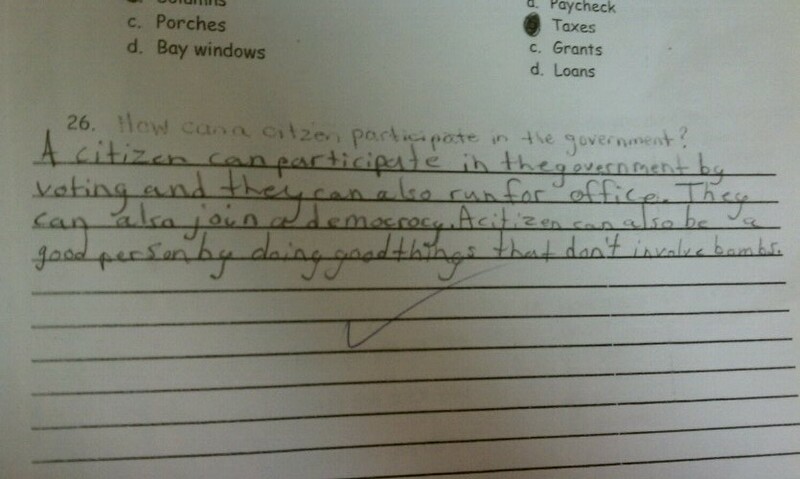 Despite my admitted lack of government facts though, I’m happy to say my Third Grader would definitely pass for an outstanding citizen. Especially if it was based on her grade from her first test about the government and her written answer (that I will always cherish).